What is one of the biggest trends for fall and winter? 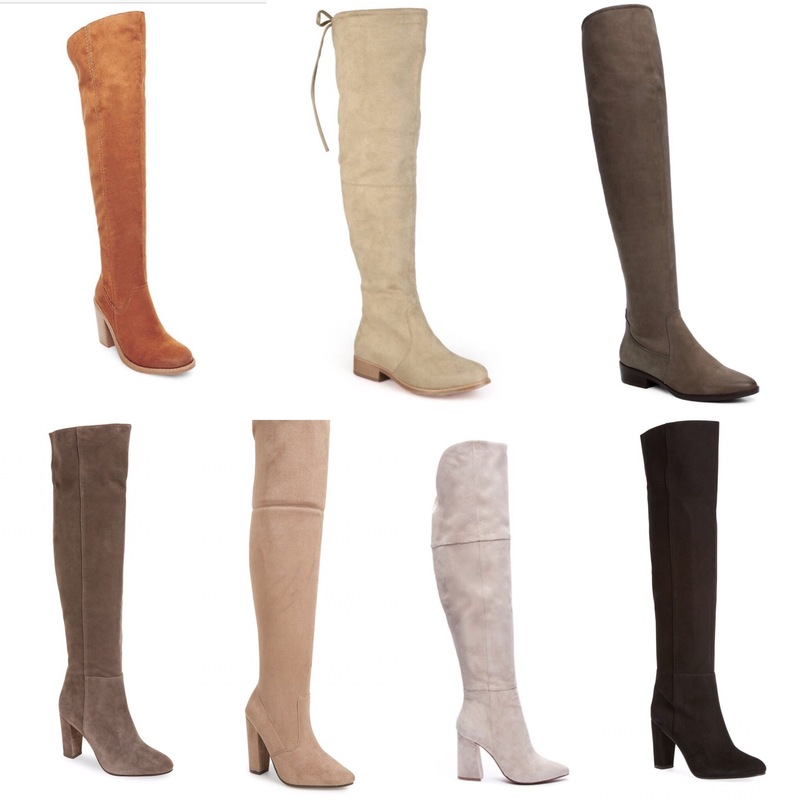 Easy, OTK (over the knee) boots! I. Am. Obsessed…. as long as they’re worn at the right occasion (I probably won’t be rocking them at a wedding or the playground, haha)! 😉 You can easily wear these boots casually or wear them with a dress and jacket/coat to dress them up a bit! If you’re taller and hate to wear a heel, I included two pairs that are flat and come in multiple colors. Which leads to the second thing I love about these boots, any color works! And all of the boots I linked up are under $200, which is amazing compared to designer brands OTK boots which are anywhere between $700-$900 and up depending on designer. From all the pictures I’ve seen on Facebook and Instagram it looks like everyone had a great Halloween and all the kiddos racked up on candy! Daarik and I picked up a pizza and few other treats and binge watched Designated Survivor which is our new favorite show. If you all haven’t caught an episode, I highly recommend it, we are seriously addicted!